“Go into all the world and preach the gospel to every creature” – Jesus – Mark 15:15. Harvest Time Evangelistic Association (HTEA) has “officially” been partnering with native ministries since 1977. Knowing the language, the customs, and being acclimated to the living conditions, natives are not restricted by any of these; however they are usually restricted by the lack of resources, materials, and equipment, which in “third world” countries funding is more than often inadequate to obtain sufficiently. This is where our partnership comes into play, working with ministries in the Philippines and Ghana (and home mission’s support of Eastern Appalachian Teen Challenge). By support of “third world” country ministries we are helping them to “Go out…into the streets and lanes of the city…into the highways and hedges…” Luke 14:21-23, going where people live and traverse, to “make disciples of all the nations” Matthew 28:19. We are helping these ministries to conduct Evangelistic Crusades and to carry the gospel of the Lord Jesus Christ to cities, mountain tribes, and jungle villages. Then there is the follow up ministry of “teaching them to observe all things that I have commanded you…” – Jesus – Matthew 28:20; and often new churches are established. Some of these ministries also have feeding programs for needy children, helping impoverished families, and reaching out to disaster victims, seeking to manifest the love and ministry of Jesus. We also provide funding for Bibles, Bible study materials, and gospel tracts. Yes, there is scriptural support for this kind of ministry; in 1 Samuel 30:24 David lays down a principle saying, “as his part is who goes down to the battle, so shall his part be who stays by the supplies; they shall share alike.” And in John 4:35-38 Jesus speaks of the harvest being “ripe” and ready to reap immediately, and of entering into other’s labors that both receive wages and rejoice together over the harvest. We need more partners to stand with us in regular consistent support of this ministry, for there is so much more that we can do together. Large one time gifts are welcome and needed, but remember it is the smaller consistent giving that sustains ministries from month to month and year to year. Never consider your gift too small, remember the widow’s two mites in Mark 12:41-44? Your giving combined with that of others will help to enable ministries to stand strong on the front lines. As God speaks to you about supporting this ministry, we have provided contact information elsewhere on this page, just click “contact us” or “Harvest Time Evangelistic Association” and you will have the opportunity to do so right here at davidandrosehill.com, or through other options. 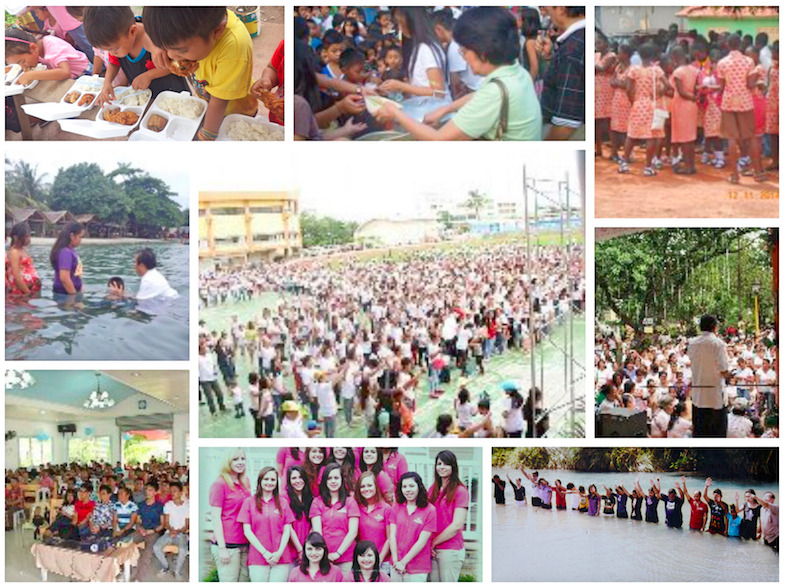 Pictures on this page show some of these ministries in action. You may also read our statement of faith so you know what we stand for and preach.